Oliver Klaus was really afraid of the heat and didn’t even want to start at all. Imagine, in his former athletic life he was a bob-sled athlete, training and racing at minus 20 degrees at the bob-sled track in St. Moritz! He doesn’t mid cold, he doesn’t mind freezing temperatures, he doesn’t mind pouring rain - but heat is not his friend. He tend’s to melt down in hot conditions like snow in summer. However, Oli didn’t give in and accepted the challenge and made the very best out of it. After a solid swim he went quickly onto the bike and moved into top-20 of his age group within the first 40k of the bike. But somehow his legs didn’t want to do perform as he wanted so he lost a few places on his remaining way to T2 and entered in 24th position into T2. Then the best part of Oli’s race started. He looked very good on the run. And while most of the athletes around him were dying do to heat and over-pacing, Oli marched through the ranks and caught athlete after athlete. Despite the heat he ran so well. He was mentally so strong and focused. That served him well and he finished a fantastic 11th place in his age group. 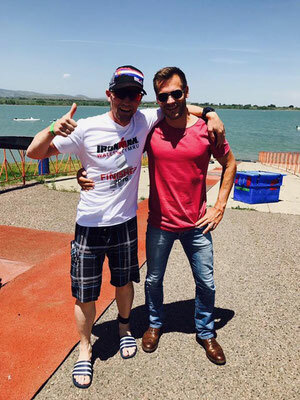 Thank you Oli and Andrea for inspiring performances and a fantastic time together at IM Boulder! While a lot of my athletes are from Switzerland, I had a lot of them racing their local race: IM70.3 Rapperswil. 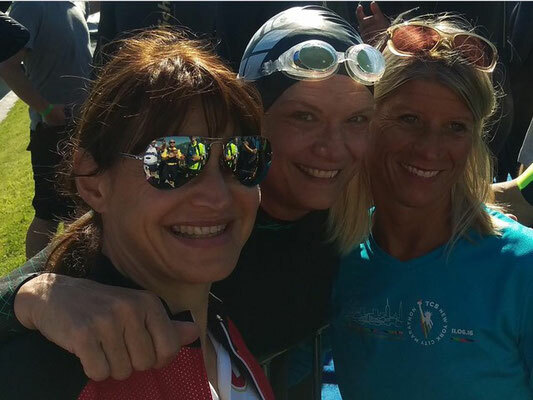 Laura Dossenbach won her Aage group and showed an outstanding performance. Her swim and bike were super strong. Her run was solid. She’s training like a maniac and I’m super happy to see her hard work paying off. 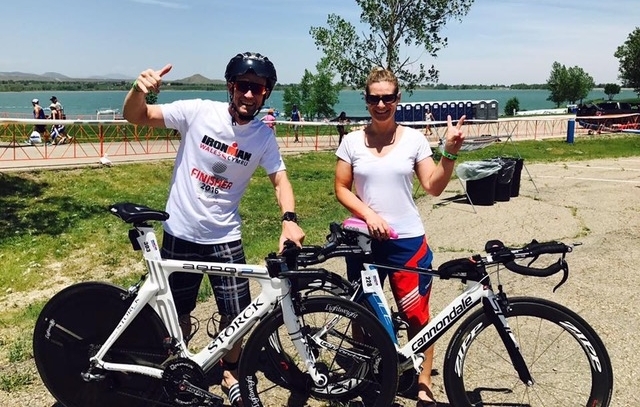 Laura took full advantage of all my services, I’m coaching her, she’s attended some trisutto camps, I got her position right on the bike. The final piece missing was her nutrition. 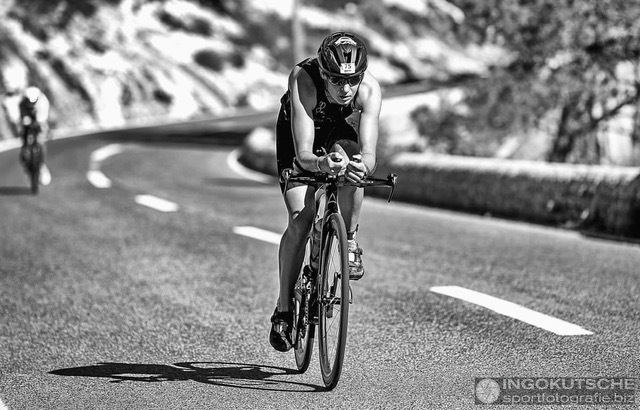 So after some very bad stomach issues at Ironman 70.3 St. Polten earlier this year, we had a thorough assessment of her pre-race and race nutrition and worked out a detailed nutrition strategy for Rapperswil that included change of products as well as exactly calculated amounts of what to supplement when. Laura executed perfectly and her result showed how good it worked. Well done Laura on the best result of my squad this weekend! Moritz Bachmann, Daniela Manser & Nicholas Baddour were all struggling with the heat. At the end they didn’t have the race they we were hoping for truly showed that they are fighters by heart performing well on a bad day. Moritz had solid race. 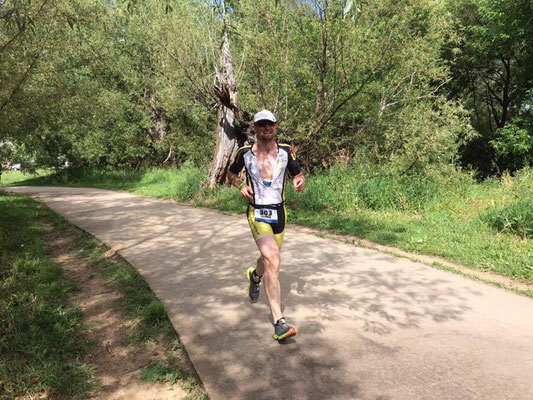 He cruised the swim, had a good bike and then suffered on the run due to the hot conditions. However, still happy for him to have that suffer under his belt. It will serve him well at Roth later this year. Same is true for Nicholas. Not yet the run performance we’re looking for, but we only started the training a few weeks ago and he is the athlete who improves from race to race. Daniela, despite missing her goal of a better finish with a 8th place (still a top-10 result! ), she still improve her PB on that course by 25mins! - which is a huge step towards bigger goals. Reto Jacobs had a solid race. Initially, he was a bit disappointed with his time - as it was 4min slower than his PB on that course last year. He raced without a watch, felt well and strong the entire race - maybe too comfortable as a thorough analysis of his race files suggested afterwards. Yes, the pacing strategy I gave him was maybe a bit on the safe side. However, I’m happy he sticked to race plan, since it was a hot day, since it was Reto’s first race of the season and also our first race „together“. We know now, that we could be a bit more aggressive for our next race to come. Reto showed that he is capable of the most important skills when it comes to triathlon: Racing with his brain, sticking to a plan, making the right decisions. Viola Frey & Dominique Chassot & Katja Naeder were doing a relay team at 70.3 Rappi. They all three had lots of fun. Although they wanted to go for a podium, they are happy with their 4th place in a very strong women relay competition. 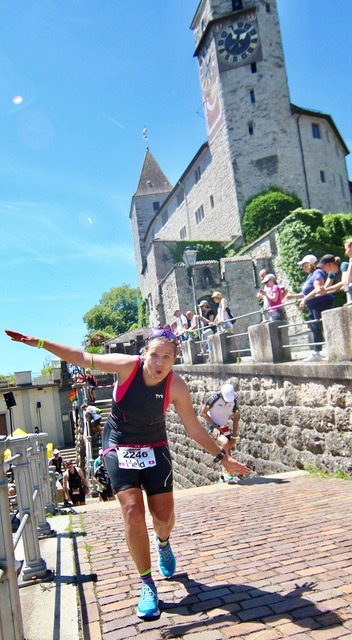 Jeanine Forster took it just for fun and used it to get prepared for the bigger goal: Gigathlon in a few weeks time. 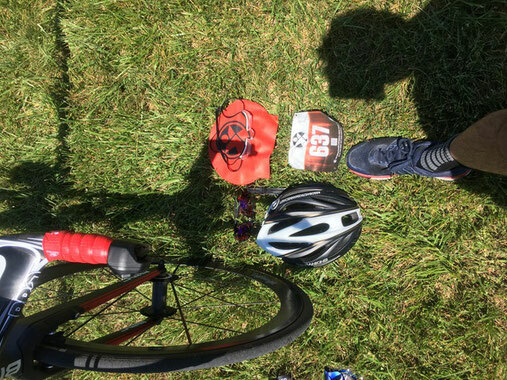 Peter Seidel raced Harsewinkel Triathlon and finished 4th, just off the podium. During the swim he lost his swim cap and his googles were flooded. Then Peter said on the bike he was killed by the wind and just finished the run in a solid style. 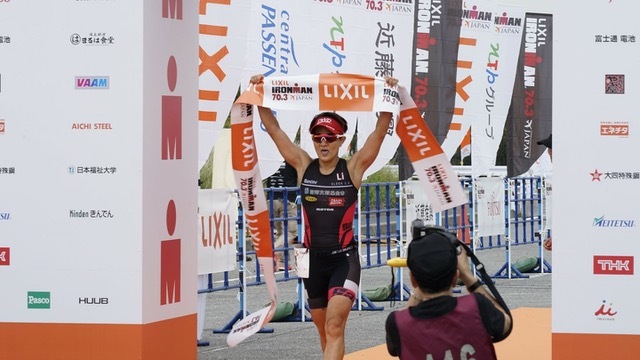 Shiao-Yu Li took part in one of her favourite races: IM 70.3 Japan. Despite it was not the day we were hoping for, Shiao-Yu was fighting like she always does. It was a solid training day and still got her another podium finish at an Ironman 70.3 and some points for her Kona ranking. 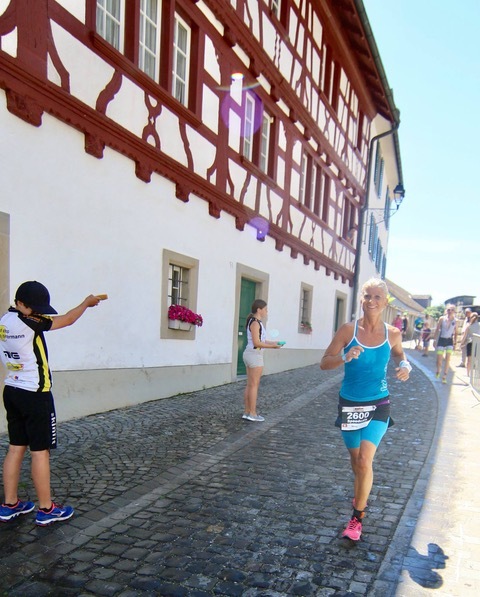 Jenny Schulz had really bad luck at Ironman 70.3 Kraichgau. She had one of the best swims ever and was very close to the other ladies. I’m really happy, all that work she put into her swim since we started is paying off and improved her so much. Making up ground to place 2 and 3 during the first 40k on the bike, unfortunately she wanted a bit too much in a turn and crashed with her bike around the 40km mark. She hurt her shoulder and leg but could carry on with the race. However, it was a struggle and she couldn’t find her rhythm again. Even her strongest part - the run - was not the one where she could gain anything. 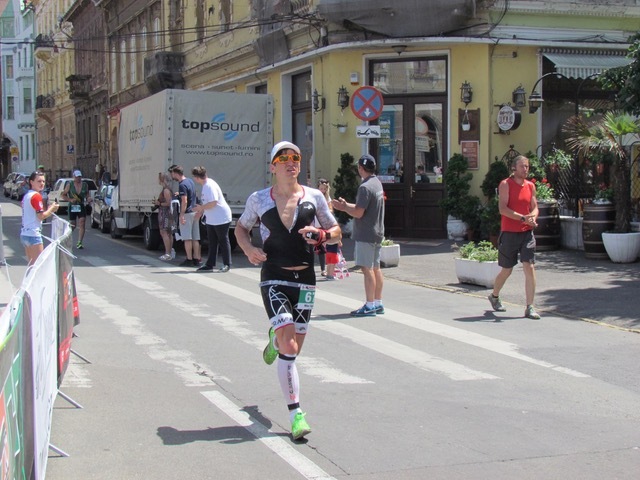 Despite the crash she still finished 4th in the women’s field which should give her enough points to qualify for the IM 70.3 World Champs in Chattanooga. 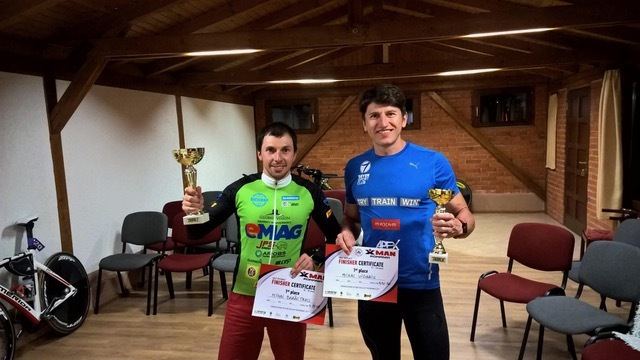 Mihai Vigariu did the half distance race Oradea. It was at the same time the Romanian championship. Swimming and biking was really going well but on the run after 10kms he realised that he overheated a bit and needed to slow down at aid stations to cool down. Therefore he had to give away his lead but at the end he managed toughen it out for 2nd place and had a good training day out there including a learning session to cool down in hot races from the early beginning. 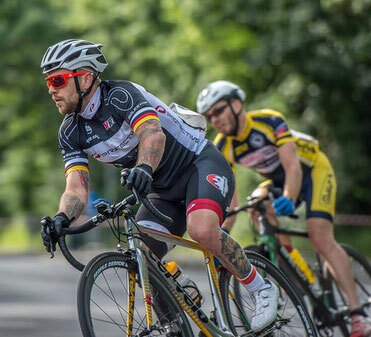 Thomas Schäfer was racing the German Championship Paracycling Road Race. Thomas was really doing a great job but road cycling is totally different to Triathlon racing. You need to work in a group, go with every attack, watch the others and react quickly. After kind of pulling the field along for the entire race, 1km before the Finish line on athlete was riding an attack and the only one who was willing (or able) to respond was Thomas and the others hang at this wheel again. At the end he missed the win by only 2 meters and became 3rd in a photo-finish. 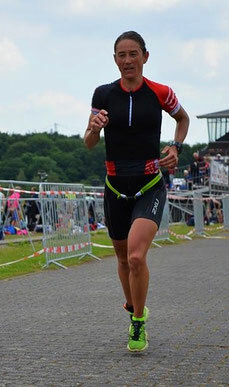 Steffi Jansen took the victory at the Heinsberg Volkstriathlon on this hot Sunday. She showed solid performance in all three disciplines. That result showed, that she’s recovering well from some illness and set-backs earlier this year. Training is going well again - just in time for Challenge Roth, her big goal this season. Fernando Candia survived the hardest half distance race ever of his life. Both bike and run were much tougher than Aix 70.3, maybe just Alps d’huez is more tougher. While such a half distance race is not hard enough, Fernando made it even tougher. In his rush to leave the house he forgot his bag with all his stuff including bike shoes and the race was an hour away! Luckily Fernando already had his triathlon clothes and run shoes on. He needed to borrow glasses and goggles. After an OK swim he was just surviving the hilly bike course in his tennis shoes. „Riding with tennis shoes was brutal. My lower back, quads, feet, literally everything hurts. Never realized what a difference being clipped makes for climbing or against the wind. 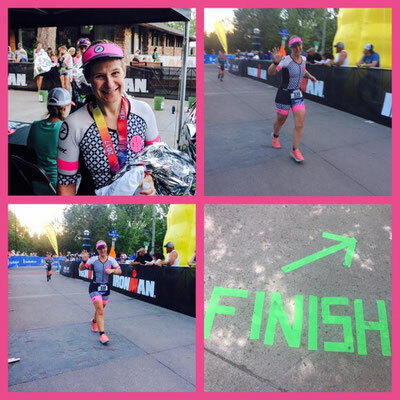 It was a bit comical as was trying to keep pace at around 200 watts and I was moving all over the place trying to find power and comfort.“ The very hilly run (420meters of elevation!) was just finishing off this tough day in a really tough style. His transition area looked really minimised;-) Very well done in improvising things!